The Tower of AION(R) is a trademark of NCSOFT Corporation. Copyright (C) 2009 NCSOFT Corporation. NCJapan K.K. 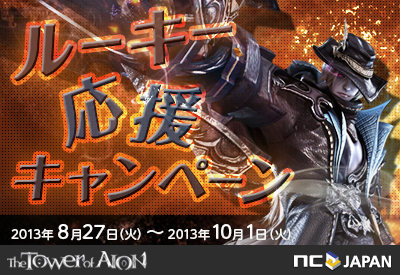 was granted by NCSOFT Corporation the right to publish, distribute and transmit The Tower of AION in Japan. All rights reserved.